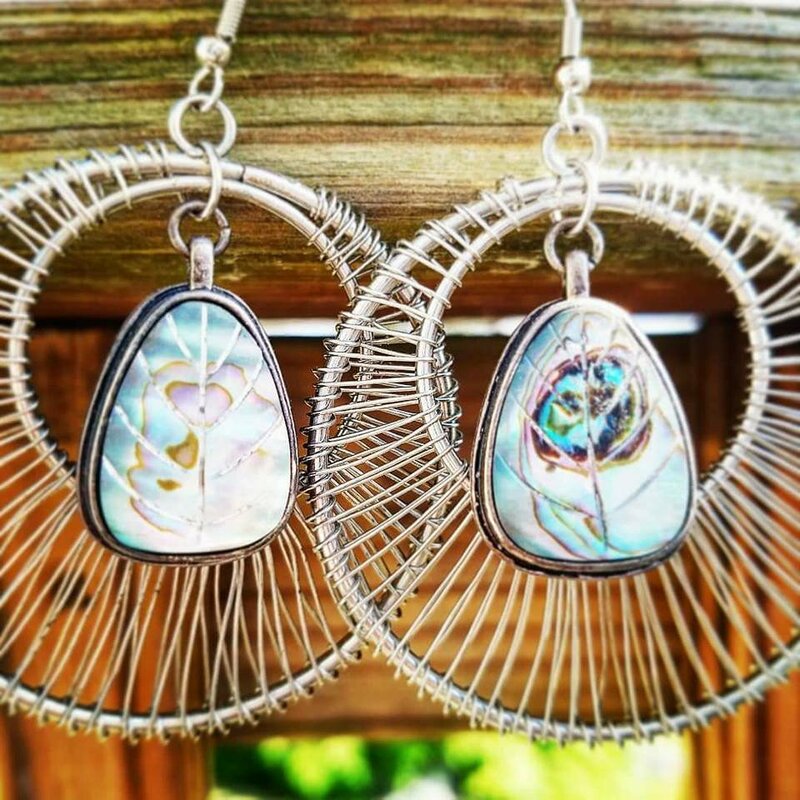 Vintage Abalone Hoop earrings are a beautiful creation from 2 different pairs of vintage earrings. They are absolutely stunning when the light hits them just right! Abalone is an edible mollusk of warm seas that has a shallow ear-shaped shell lined with mother-of-pearl and pierced with respiratory holes.